So happy to see green again! Our rhubarb is growing fast and we can’t wait to make some batches of our Fresh strawberry rhubarb jam - that will happen soon! This week we will not be doing any farmer’s markets so I’ve decided to try out some new recipes and have a soup and jam tasting here at Kiss Flower Farm this Saturday April 27th from 10 -2. Flavors include a new Corn Chowder - this one will feature Vermont Cheddar and Apple - wood smoked bacon. 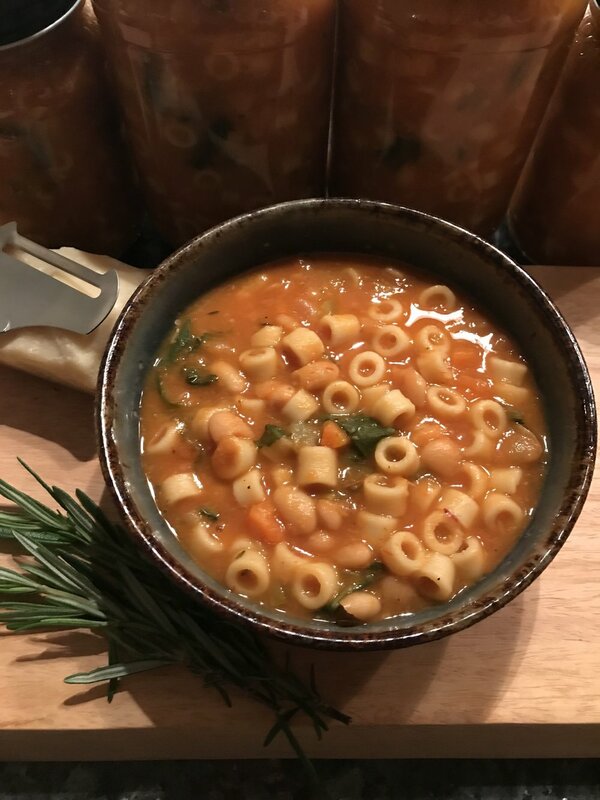 There will be a vegetarian Tortellini Soup with spring vegetables, and a vegan chick pea and broccolini soup with blended chick peas, broccolini crowns, white wine and tarragon. I’m also trying out a creamy chicken and mushroom soup with green peas and fresh parsley. Our Little Kiss Country Store will also be open during those hours and I will be serving samples of our jams paired with some of my favorite cheeses! 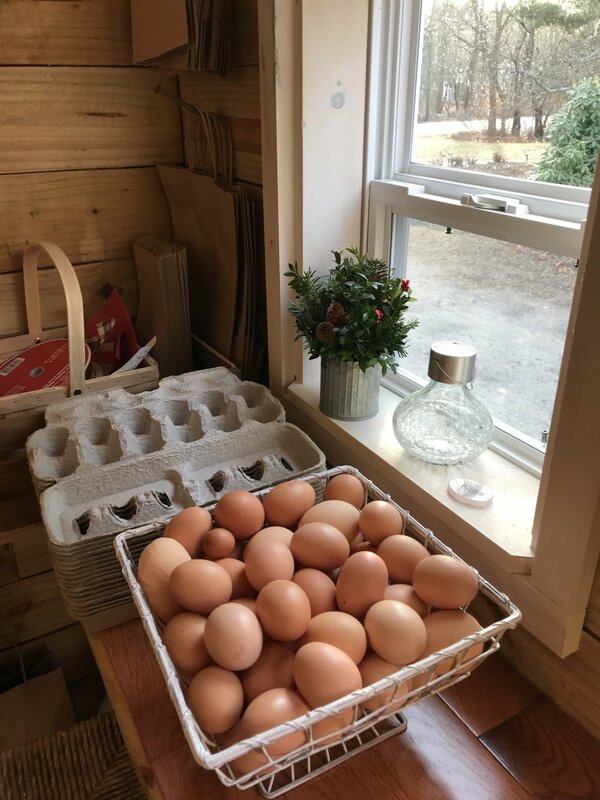 So please plan on stopping by for a visit, have a taste or two, visit our hens (including 9 new arrivals), and see what else is new! Mother’s Day is coming up soon and our Jam Samplers and jam gift boxes make perfect gifts! If you’d like to reserve any soups for Saturday pickup let me know by WEDNESDAY APRIL 24th to guarantee availability, otherwise just come by and taste what’s cooking, we’d love to see you!